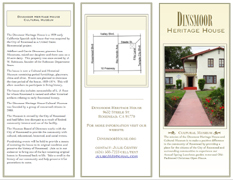 Everyone is welcome to become a member of the Dinsmoor Heritage House Museum. To apply for membership, download or open and print a copy of the membership application from the link below. We are a 501(c)3 tax exempt organization and all donations are tax deductible.